A dedicated officer could be employed in Ipswich due to sightings of a large numbers of hedgehogs. 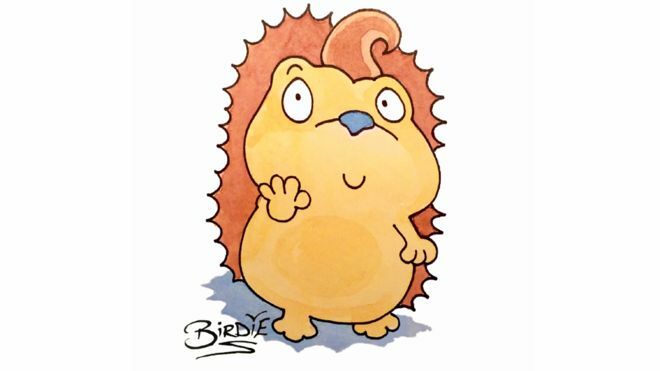 Hundreds of residents have reported seeing hedgehogs as part of a survey by Suffolk Wildlife Trust and now BBC Suffolk has recruited Artist Birdie, whose recent image of Pudsey mourning the death of Terry Wogan went viral, to create a mascot for its campaign to help protect the hedgehogs. Spearheaded by presenter Mark Murphy, the radio station's Going the Whole Hog campaign will aim to make Suffolk the most 'hedgehog friendly county in the UK'. After 2,500 sightings of hedgehogs around Ipswich, the trust said there was a 'rich natural network' for them due to the town's 'beautiful parks as well as the cemetery, allotments and churches'. With fundraising, the trust hopes to recruit a dedicated hedgehog officer for Ipswich later this year.